Definitely going to do this. Brilliant idea. Great idea and looking forward to doing it. Thank you for sharing. How exciting! 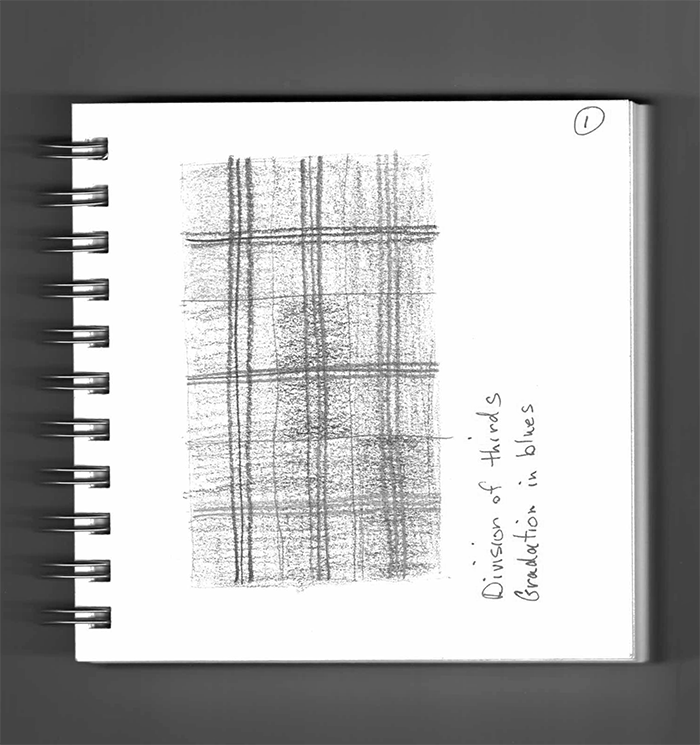 I’m always doodling and drawing designs for my handwoven saddle blankets but I never thought about such a good discipline as drawing one a day! Yesterday was Day 1 for my new collection of designs to all be in order in my new sketch book. This is such fun and thanks to Susan for her suggestion. Jane, I remember you saying how important it was for us newbe weavers to weave every day. To build confidence and knowledge, and skill and simply explore possibility, I love how Susan has applied this practice to designing. Santa gifted me a new sketch book. Hmm, guess I’ve found the purfect use for it! What fun and who would have thought of doing that. 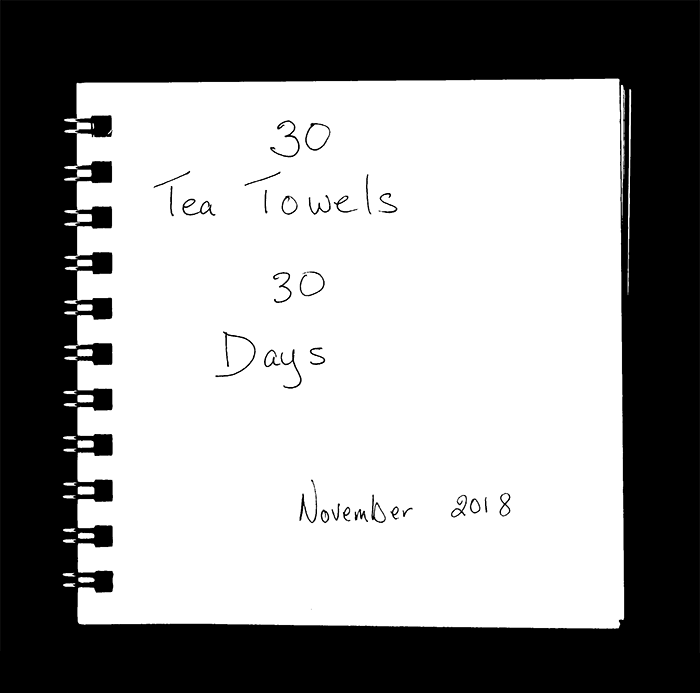 Had an art teacher suggest the 30 days of sketching and now we have a weaver suggesting 30 days of creating tea towels–and those designs can be used for all kinds of other things. Let’s see, a nice cotton top for summer, a scarf or shawl, a length of fabric to be cut into whatever my specialty), a vest or a winter coat for your doggie! Love it. What a great idea. I’m going to try 7 days for a start but set some parameters such as determine the colour and pattern of my warp…..then I’m going to weave them just to see if they turn out. Would be good to see everyone’s idea for the 31st Oct. I shall start with that and work backwards. Slowly! Thanks Gail and Jane. Your blog works really well as an ‘in-betweener’! This is just what I needed! Think I’ll go for 14 days for this first time. Very cool. Thank you!! I love this! I’m currently taking part in a 30 day drawing challenge which ends at the end of January. I definitely know what I’m doing for February! What a learning experience this will be. I plan to dig out my sketch pad and colored pencils (I moved and they’re still packed, but handy) and have a go. Will be drawing heavily from what I learned in Season 2. Expect a lot of Fibonacci. Don’t know how to pin a post, so hopefully I can find this in the future to play along with everyone. Color and design are still totally foreign to me. 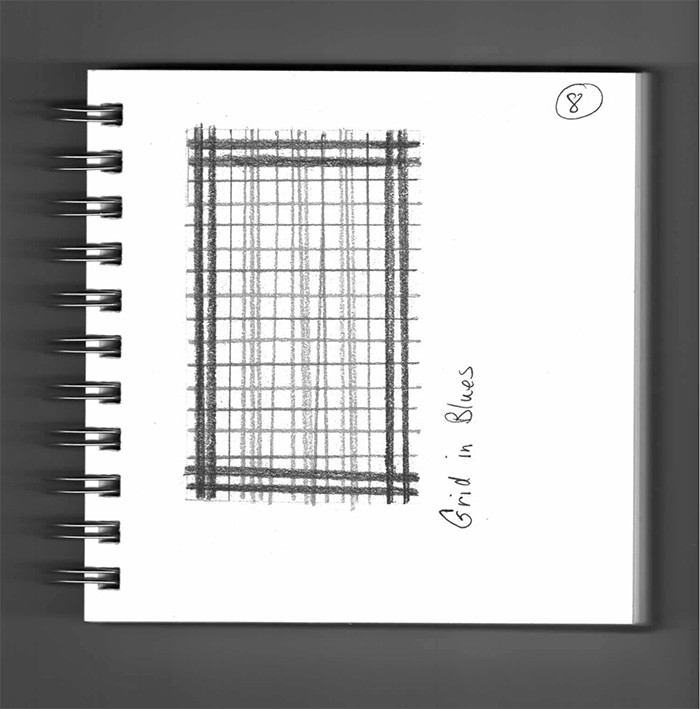 Even after watching Jane’s guild lessons I go blank when faced with paper and pencils.